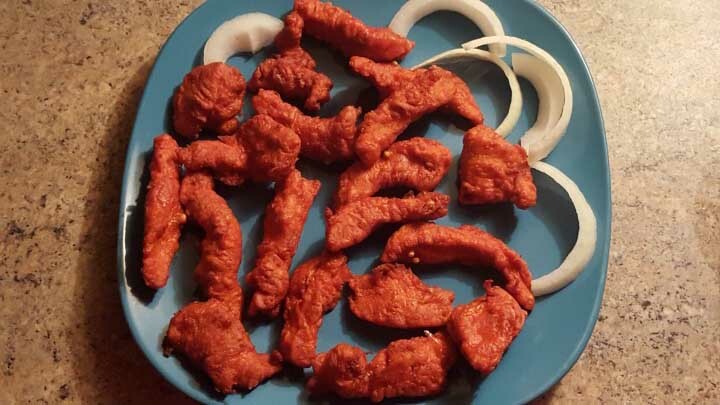 Looks like you've got the hang of posting pics, your pakora do look good, on my to do list. Fresh batch just cooked. Anyone from Scotland and from Glasgow if you like pakora then this is for you. Identical and takes 2 minutes to cook. Might give this a try this weekend. Do you ever use the fillet underneath the breast for pakora gazman? It makes excellent pakora, but there's never enough of them. Bit thumbs up for this recipe! I thought 50g of gram flour sounded low for 1kg of chicken, but it was quite ok. Thanks for the recipe Gazman! Looking forward to the pics. And your preferred dip to go with them?